In this lesson, we will learn how to interpret the intercepts of a graph and how to determine the symmetry of functions. 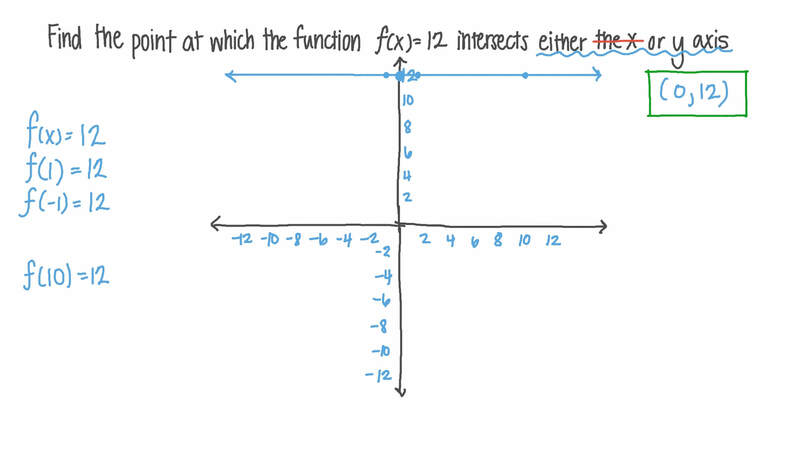 Find the point at which the function 𝑓 ( 𝑥 ) = 1 2 intersects either the 𝑥 or 𝑦 axis. 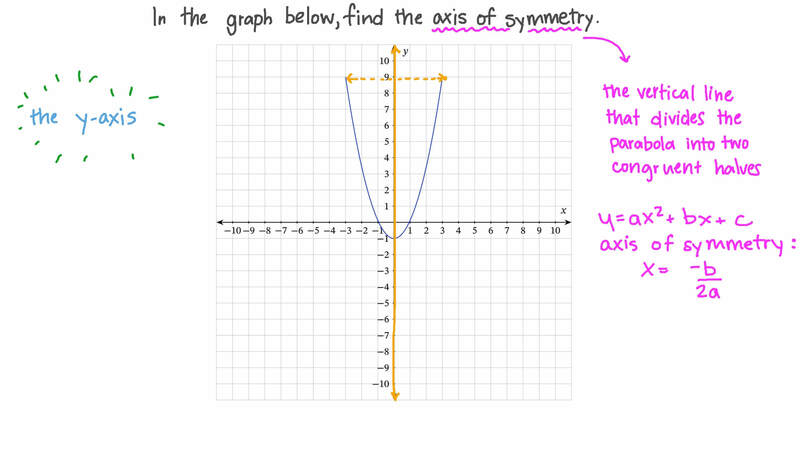 In the graph below, find the axis of symmetry.